Custom built Heights home! 9 ft ceilings on 1st/2nd flrs. Site fin hrdwds on main. Chefs kit w/cust cabs, quartz cntps, farmhouse sink, Thermador appliances, lrg island/bar w/2nd sink. Kit opens to liv w/a gas log frplc. Dining & office. 5 BRs up w/3 full baths. 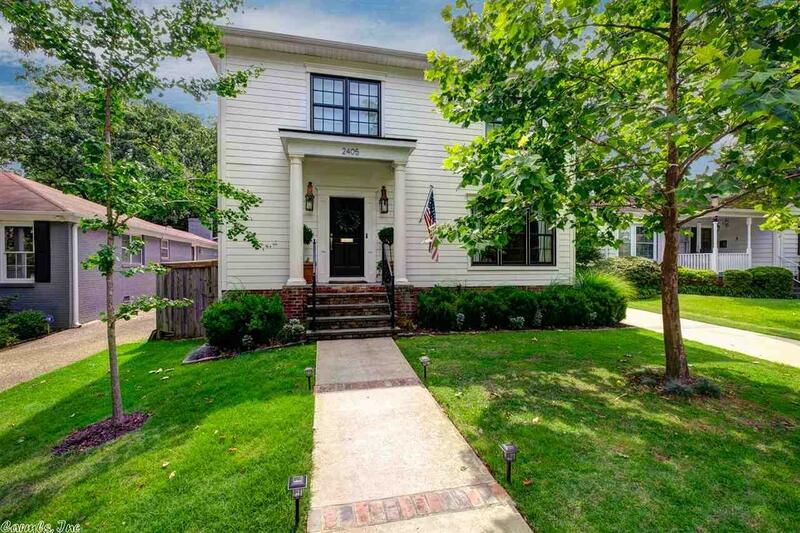 Lrg master suite w/enviable BA, sep shower/tub, 2 sinks, lrg closet w/add washer/dryer. Home wired w/speakers. Outside has impecable landscaping, detached gar w/golf cart storage, electric gate & patio. Home has been featured in At Home in Arkansas.